Hey all! 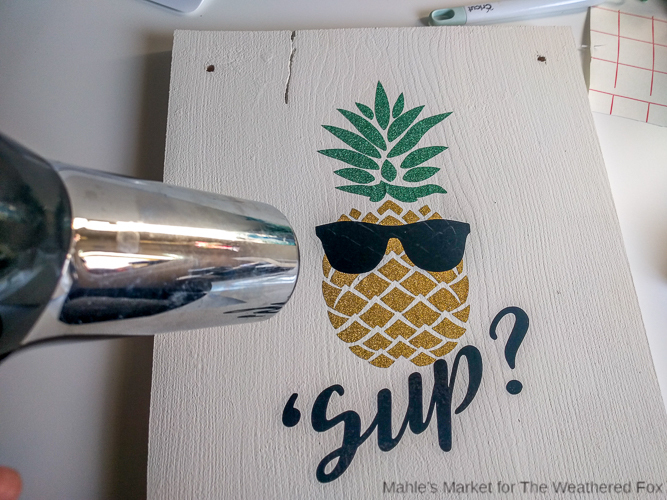 It’s Sydney from Mahle’s Market here with you again to share with you another fun pineapple post. 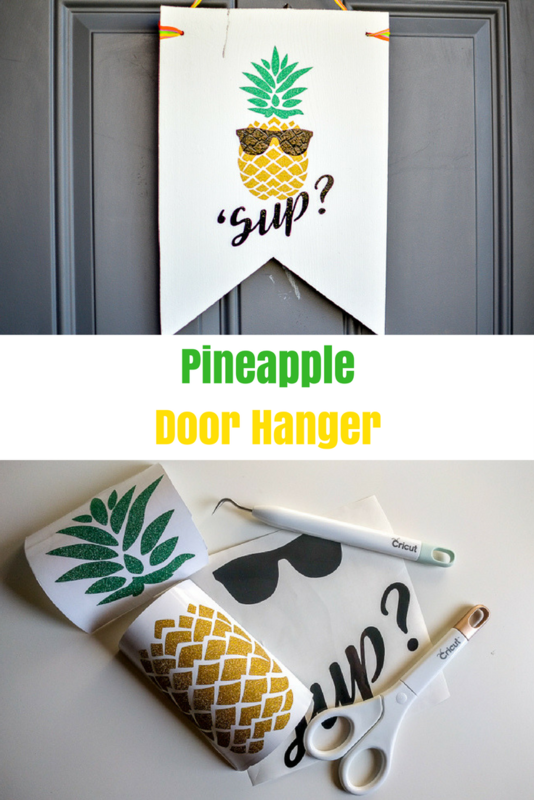 Earlier this week I shared a super tasty Pineapple Mango Salsa and today I’m sharing this fun door hanger my boys’ helped me design. One of their favorite things to say with their friends is “Sup Dog?” so when I was thinking of what to put on our summertime door hanger that phrase instantly popped into mind. 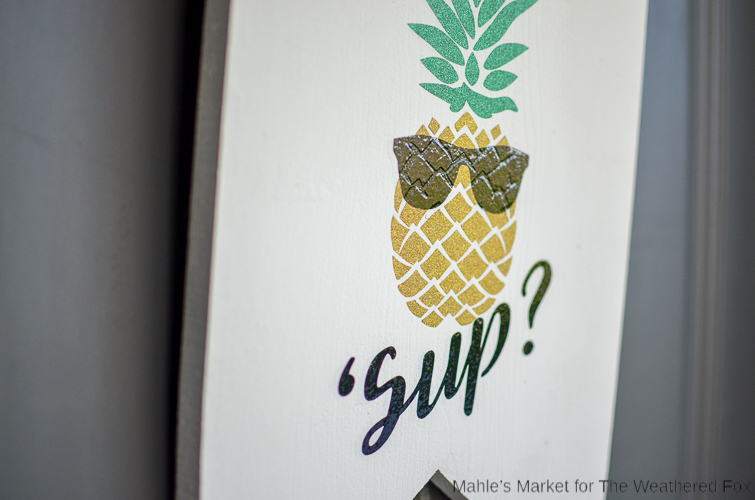 I didn’t really want to put a bulldog (or any other kind of dog) on our front door so I opted for a cool looking pineapple and took the “dog” out so it just reads “Sup?”. That’s way more fun to say than welcome, right?! This was so easy to make and my boys (who are 4 and 5) loved helping. I did the hard part and created the design, all you have to do is buy a door hanger, paint and cut some vinyl. Lets get started! 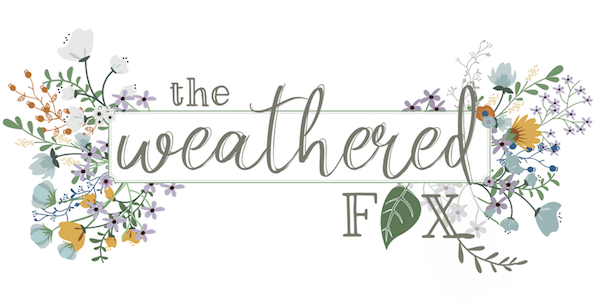 Paint banner with chalk paint. I did two coats just to be safe. Let dry for 24 hours before applying vinyl. 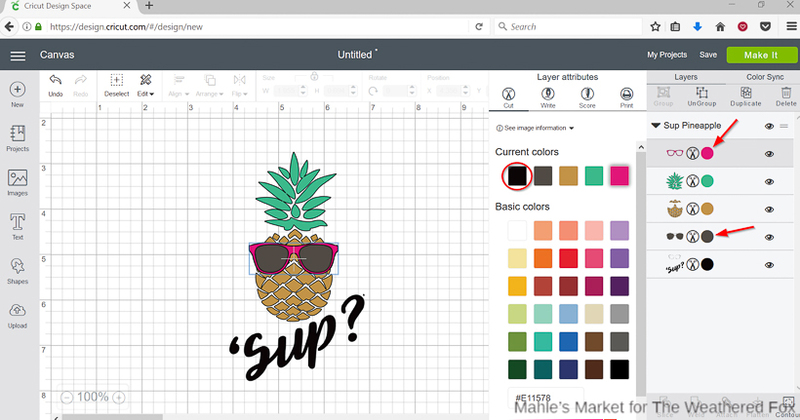 Open Sup Pineapple SVG into design space. Change the color of the glasses and frames to black to match the ‘Sup?. That way when you send it to the machine to be cut you can cut the glasses and ‘Sup? at the same time. Click ‘Make It’ button to send to Explore Air. 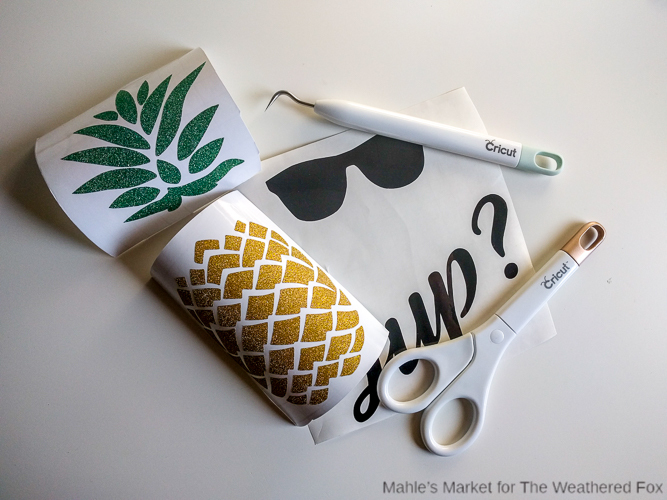 Cut the top of the pineapple out of green glitter vinyl, the bottom out of the pineapple out of gold glitter vinyl and the glasses and ‘Sup? out of black vinyl. When cutting the glitter vinyl make sure to change the dial on your Explore Air to custom and change the material to Vinyl, Glitter. 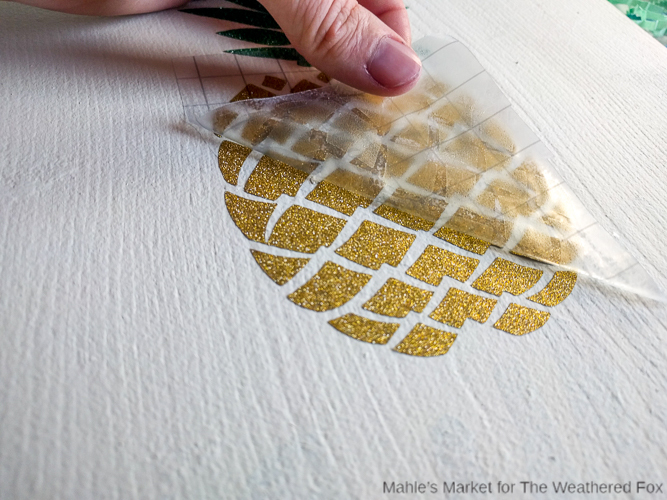 Weed design (remove excess vinyl) and apply transfer tape to designs. 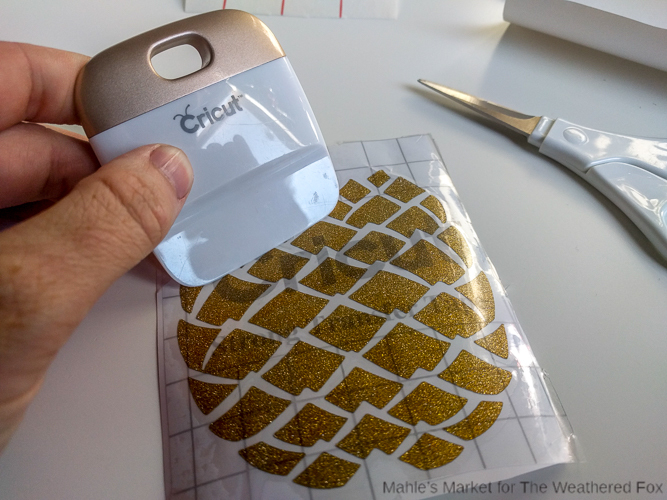 For the glitter vinyl use the transfer tape that comes with it. For the black vinyl I like to use this transfer tape. Line up pineapple top on to door hanger and press lightly over vinyl. 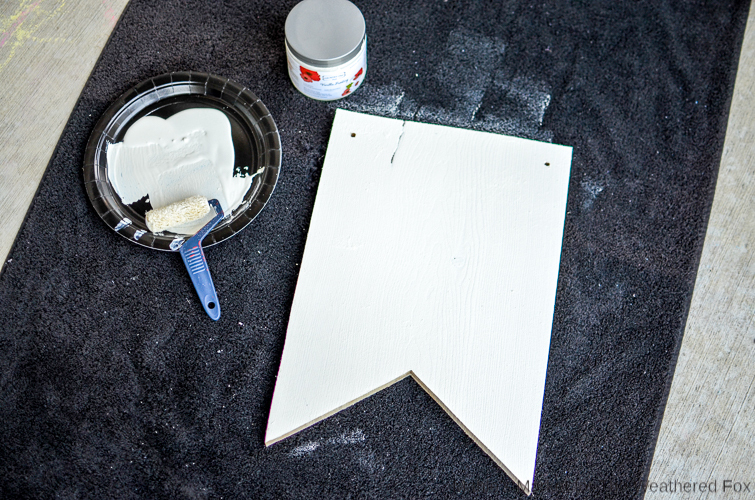 You don’t want to press too hard or you may remove the paint from the door hanger. Remove transfer tape by slowly peeling up starting in the bottom left corner. Repeat with bottom of the pineapple and then the glasses and ‘Sup? Insert ribbon into the holes on the top and hang from hook on your door. It’s so fun having this on the door and having our front window open. When my boys friends walk by (or just about anyone) you can see them smile and hear them say “Sup?”. 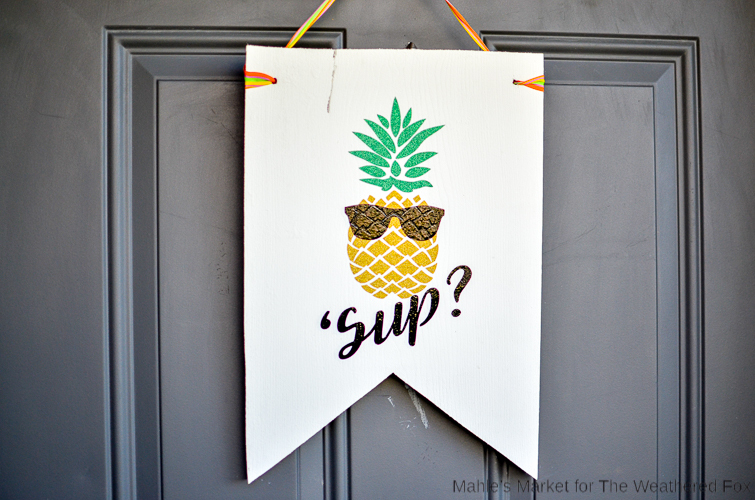 What do you have hanging on your front door this summer? Don’t forget to check out the rest of the posts from our Pineapple Week!